The inside story of today's Dambusters at war in Afghanistan. In May 1943, 617 Squadron RAF executed one of the most daring operations in military history. Flying barely 50 feet above black marble waters, Wing Commander Guy Gibson and his bombers mounted a raid against hydro-electric dams in Germany. Bold, courageous and precise - 617 Squadron became a World War II legend. Nearly seventy years later in April 2011, a new generation of elite flyers followed their Dambuster heroes into the theatre of war. Now flying supersonic Tornado GR4 bombers, 617 Squadron was deployed to Kandahar, Afghanistan - their mission, to provide close air support to troops engaged in brutal conflict on the ground. Commanding 617 is new boss Keith Taylor. An operational veteran with seven tours over Iraq, he knew that even with the latest cutting-edge weapons and sensors, only rigorous flying standards and watertight tactics would keep his young pilots safe. A full-throttle account of daring feats in modern fast attack jets, this is also a very personal story of a closely-knit band of men and women working under immense pressure, where every decision could affect the lives of NATO troops and an entire country's hopes for a better future. Tim Bouquet was given unprecedented access to 617's pre-deployment training at RAF Lossiemouth and blistering tour in Afghanistan. 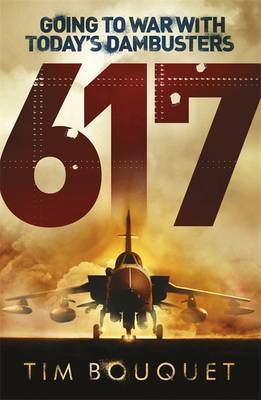 From dramatic air strikes to the life-and-death search for IEDs and low-flying shows of force designed to spook and drive insurgents from civilian cover, he tracks every mission - and the skill, resilience, banter and exceptional airmanship that see 617 through. 617 is the richest, most insightful and gripping account of the Royal Air Force at war for a generation.